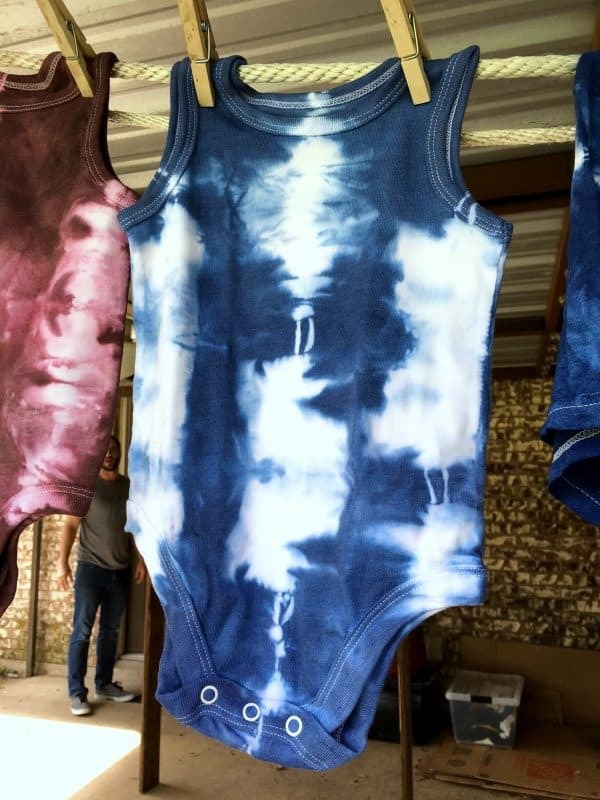 Crafting with Kids: Tie-Dye Everything! 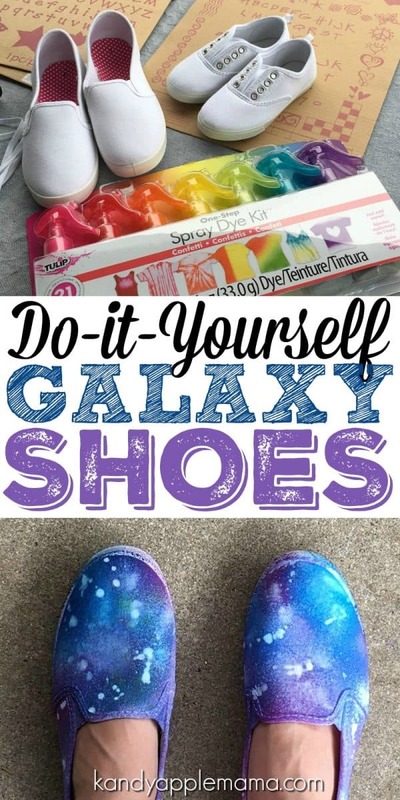 You are here: Home / Family / Crafts & DIY / Crafting with Kids: DIY Tie-Dye Everything! 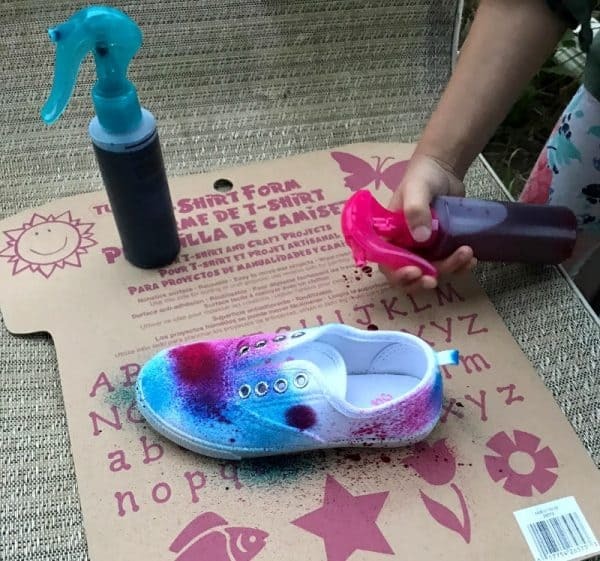 Crafting with Kids: DIY Tie-Dye Everything! Today we’re sharing something different than our usual educational game post. Have you been keeping up with Beyond the Classroom? I just love all the fun new games and activities we’ve been coming up with to help make learning fun for kids of all ages! Now of course, given that I’d never tie-dyed before (shocker, I know), I just had to experiment with several options at once. I always want to know what the best way to do a craft is! Did the shirt size matter? 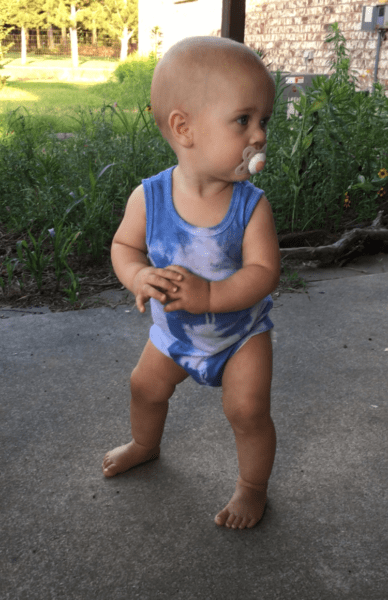 Big, small, or baby jumpsuit? 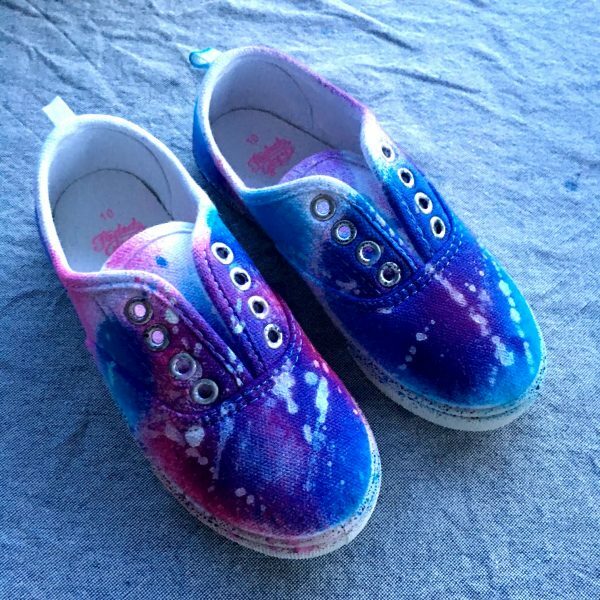 Did the type of dye matter – powdered, liquid, spray on? Do different dyes need different activators? Soda ash? Salt water? And the fact that SO MANY tutorials described different ways of doing things, made me even more confused. So I just had to try out all the different variables to see which way is best! Keep reading to see what our results showed us! Step 1: Prep your workspace! Make sure you have all your materials on hand. Fill one of your big bowls with water. Step 2: Rubber band those shirts! There are several ways you can wrap the rubber bands around. Personally, I love the accordion fold or the simple scrunch and bunch. 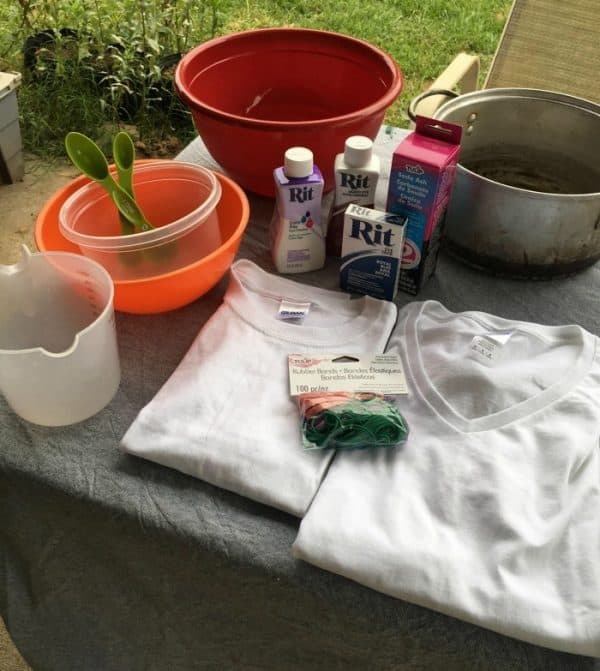 Step 3: Soak the shirts in water. After your material is folded, scrunched, twirled, and rubber banded – it’s time to soak! Leave them in your bowl of water for 10-15 minutes. Step 4: Make the dyebath. Mix 2-4 tsp of the powdered dye with 1 cup hot water. Stir until it’s dissolved! Pour the dye solution into a new bowl, then dilute with more (preferably hot, although not required) water. Step 5: Dye that fabric! 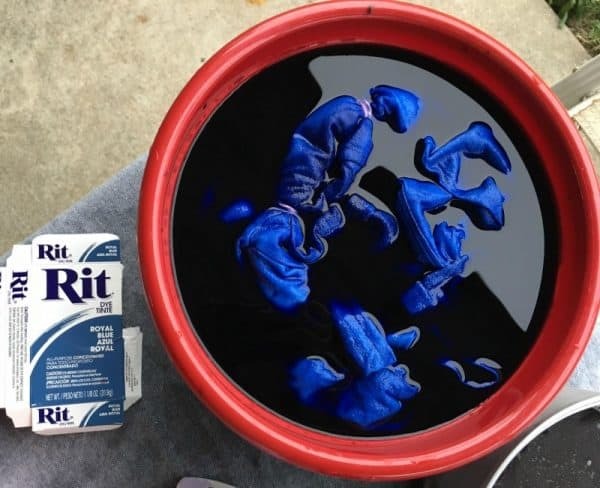 Stir your dyebath and add your shirts! Stir to make sure they’re covered! Step 6: Add the soda ash & WAIT. Let your clothing soak in the dyebath for at least an hour. Some tutorials said 24 hours is best. We’ll do that next time! Step 7: Rinse, wash & dry! 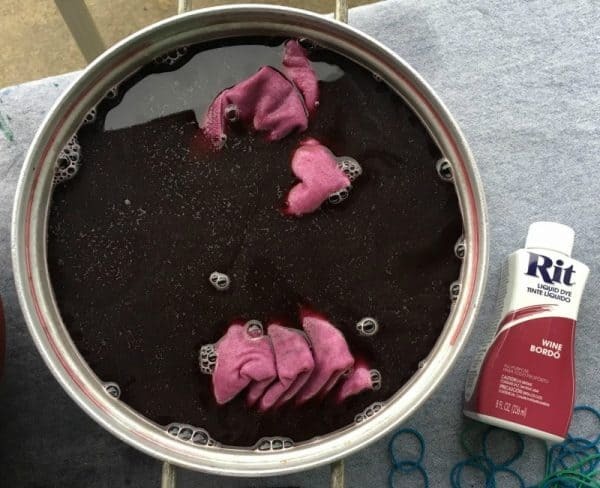 Once you’re done letting your dyed clothing soak, start rinsing out the fabric with warm, then cool water. You’ll want to rinse until the water runs clear. Then add the clothing to your washing machine (wash gently with mild detergent!) and dry like normal! If you’re trying all of these tutorials, then you should already have your workspace prepped. If not, get ‘er done! Fill one of your big bowls with water. There are several ways you can wrap the rubber bands around. (See above) Again, I love the accordion fold or the simple scrunch and bunch. 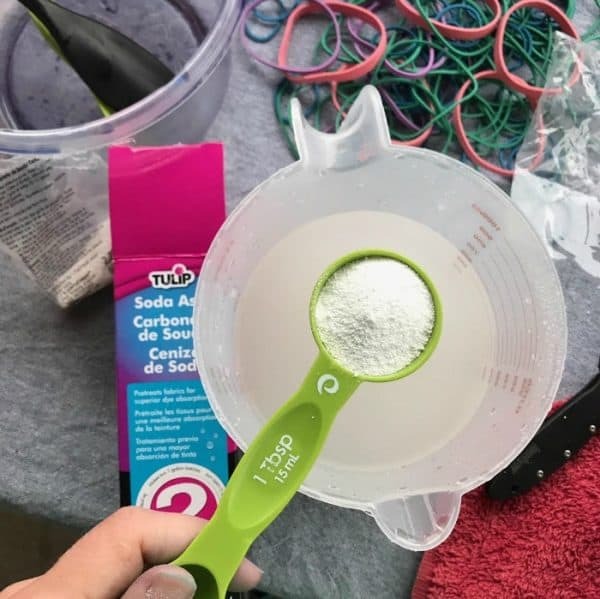 Mix half of the liquid dye with 1 cup hot water and add it to a new bowl. Fill that sucker up with water! Mix together 1 1/2 cups water with 4 1/2 T. soda ash. Stir, then let settle. Add into the dyebath. Once you’re done letting your dyed clothing soak, take them out and cut off or remove the rubber bands! Now rinse out the fabric with warm, then cool water. You’ll want to rinse until the water runs clear, then add the clothing to your washing machine (wash gently with mild detergent!) and dry like normal! Step 1: Prep the scene! Lay out your cardboard and put your shoes on top. We repurposed a t-shirt board, which meant our space was small, so we only did one shoe at a time. You’ll also need to prep your spray dye – fill each bottle up to the black line. SHAKE THEM UP LIKE CRAZY. You need to dissolve the powdered dye before spraying, otherwise the powder can stop up your nozzle and the spray bottle will be useless. Step 2: Pick your colors and start sprayin’! This is the fun part! (And the most engaging for little ones!) 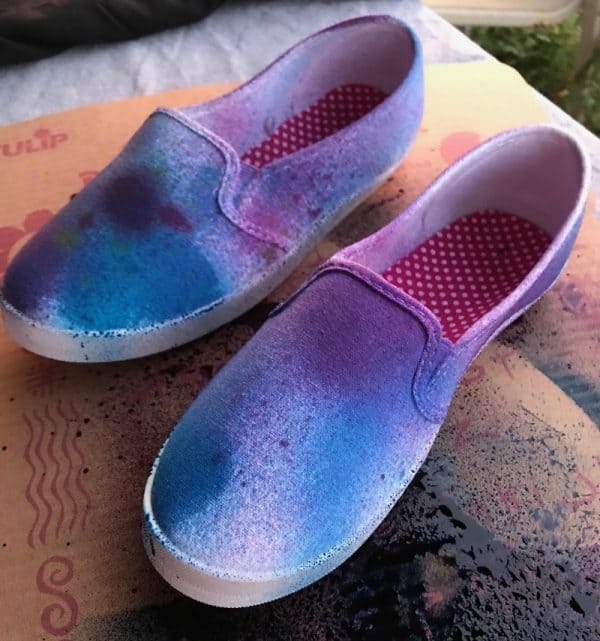 For my shoes, I chose blue and purple. K chose blue and pink. 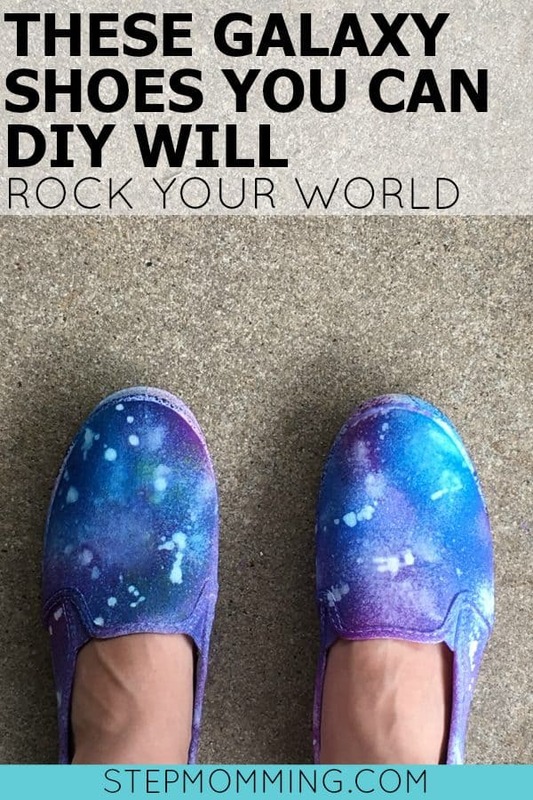 Start spraying whatever color(s) you chose at random all around your shoe. The good thing about these colors is that if you mess up, more color can usually fix it. Too much in one spot? Just spray more around it and it’ll just darken the color. I thought I had messed up one of my shoes when I started to add green (Ew! It looked terrible!) but I just added more blue and purple and it seemed to correct itself. 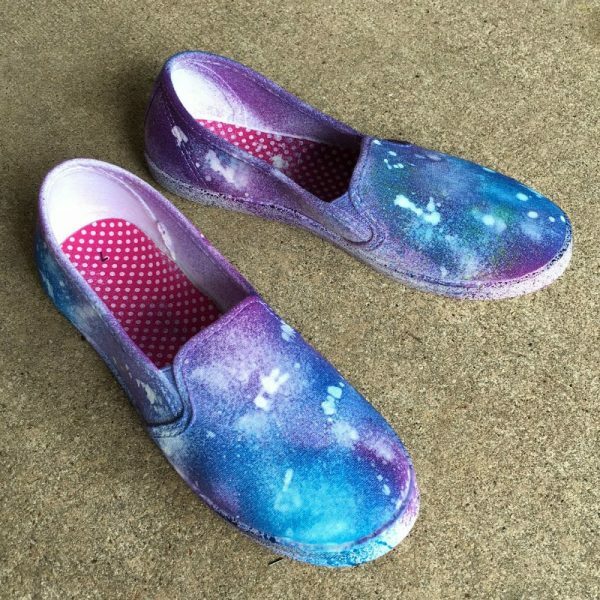 Now grab the Snow Fabric Spray Paint and start with the white splatters! Be very careful with this one – our nozzle kept clogging and splattering weird. It certainly didn’t spray the way the dye bottles did. The results look a lot more like splattered paint. But once the paint dried, the white fades a bit and blends in better. They look super cool now! As far as color depth goes, I loved the blue powdered dye all the way! The red liquid dye seemed to soak into the fabric more and didn’t leave as many white spaces. I will say though, that after washing and drying the shirts and jumpsuits, both forms of dye faded quite a bit. But the red liquid dye? It completely bled into the white-ish spaces. Lame!! 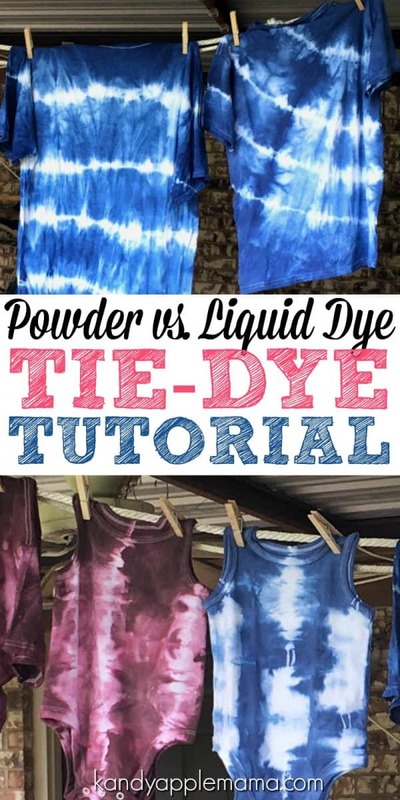 We’ll definitely be trying both forms of tie-dying again in the future, and I plan on trying out different dye-protection techniques to see if we can keep those white spaces WHITE. By far, the best results came from the SPRAY DYE! 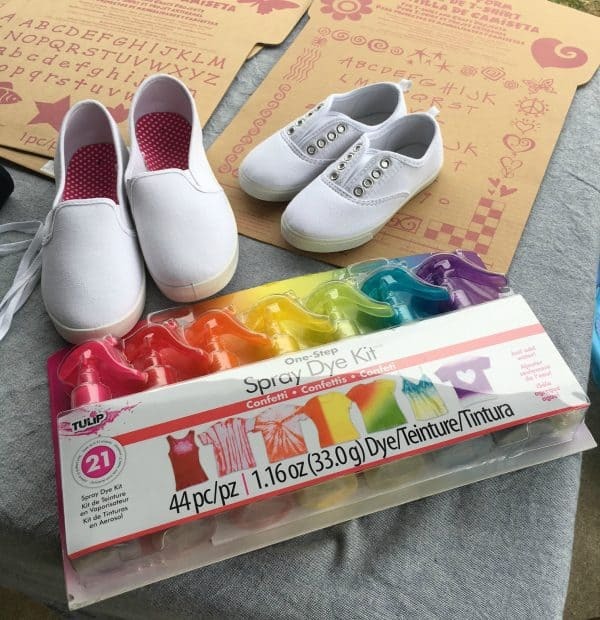 While we didn’t exactly use them to tie-dye (you totally can by rubber banding shirts and spraying around the bands), the spray bottles were a much more kid-friendly way of applying color. 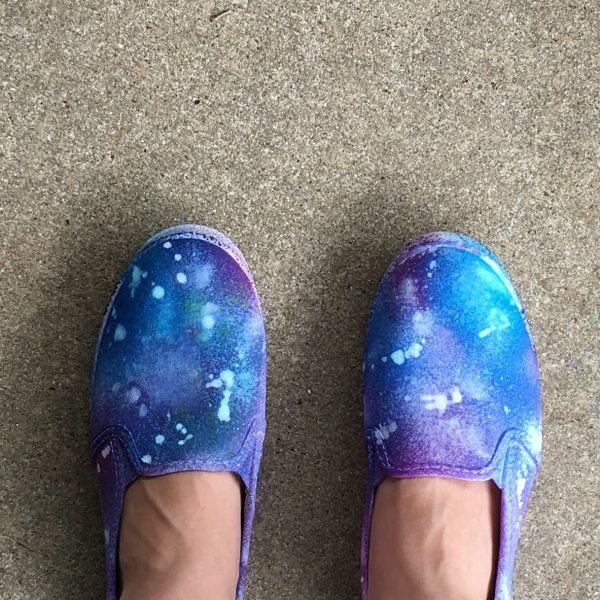 And because we aren’t washing the shoes in the washing machine, the color stays a lot better – and longer! 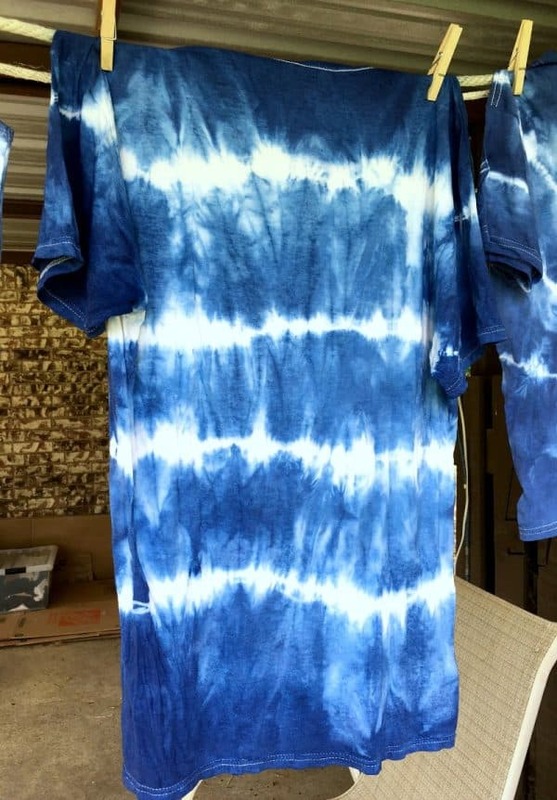 How did your tie-dying techniques turn out?? I’d love to hear all about them in the comments!! 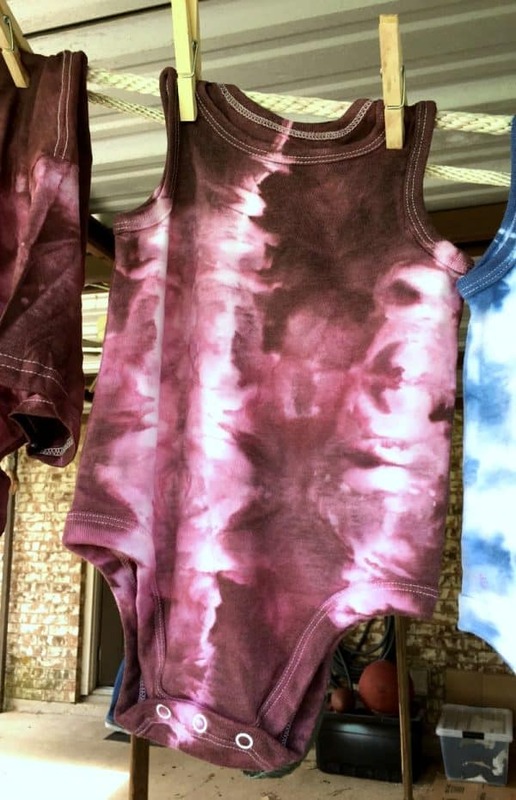 PS: Want to learn about the science behind Tie-Dye? Check out this post by STEM jobs! That looks so fun and I love the creativity you can do with the kids. Anyways, thank you for sharing all the stuffs that we need for this one. I will be doing this with my little sister and brother, I’ pretty sure they will like this. Amazing! It certainly was a lot of fun Esther! I hope you all enjoy it! !